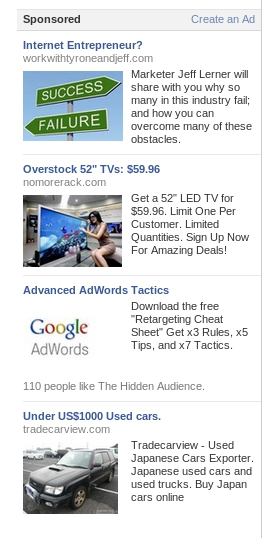 One thing that is common among these ads is that they FLAG potential customers. These ads only want people who are interested at what they have to offer. These headlines are not vague. They get straight to the point as to what they offer. If you are looking for used cars and on a tight budget, the fourth ad will surely catch your attention. Online business? 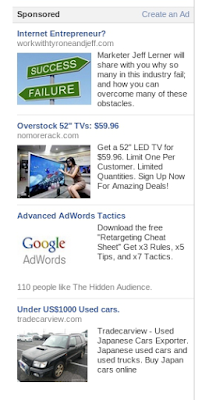 Two of these ads will appeal to you. The pictures are relevant to the ad. They tie in with the message from the headline. People usually look at the image first, and if it is something in their radar, they then read the headline. Your headline doesn't have to be short. It can be two or three-sentence long as long as they offer something of value to the reader. If there are no limits to the number of characters you can use for the headline, use as many as you need to effectively say what you have to offer.